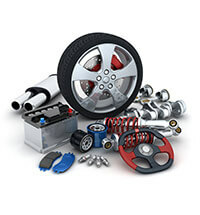 In addition to being a full service maintenance and repair facility we are also automotive enthusiasts. Our entire staff is car crazy - so we offer a host of customization and performance services that can add to the enjoyment of most any vehicle. Whether you are looking to add a lift kit to your truck or SUV, or install heavy duty wear items like brakes, shocks and struts or you simply want an engine accessory installed we can do it for you - and reasonably. We have installed the following for customers, let us do it for you!